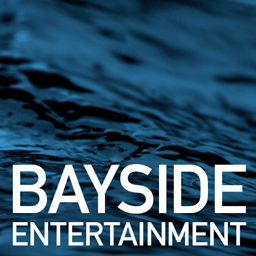 Bayside Entertainment is owned and operated by two veteran production professionals, Steve and Joanie Wynn, each with over 25 years of experience. Clients like Sony, Lucasfilm and Boy Scouts of America trust us to deliver high-quality, original creative content of all stripes and colors; from sales and marketing videos to brand identity campaigns and digital video for the web. We have a passion for storytelling and have been producing content across multiple platforms for over 25 years. Whether your message is funny or touching, outrageous or inspiring, we make sure that content doesn’t get lost in style and that your message stays up front in a way that captivates and entertains. We are flexible and nimble, able to respond to tight turnarounds and impossible deadlines. We take pride in our customer service. When you hire us, we become part of your team and will work tirelessly to meet your goals. We are discreet, professional and trustworthy — accustomed to working with sensitive materials for high profile clientele. Our projects are on time and on budget and that’s why our clients keep coming back.